Sometimes an abrupt decision ends up spurring an incredible experience. 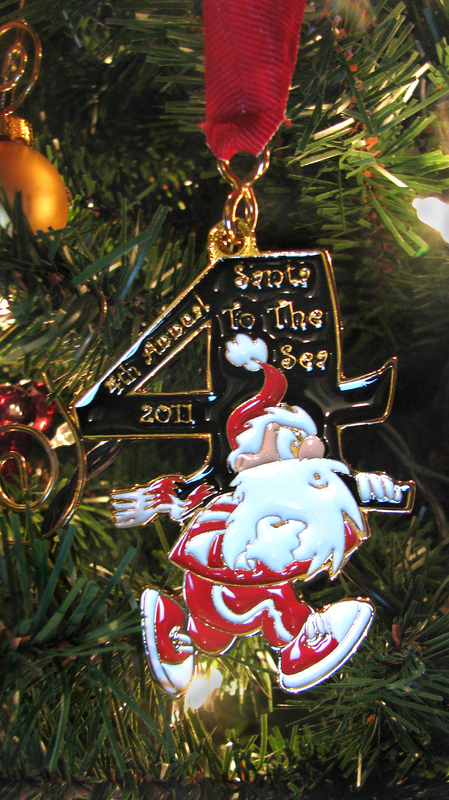 Case in point, after waffling and discussing sporatically for a couple weeks, my wife and I decided to run the Santa to the Sea 1/2 Marathon as a 2-person relay. At first read, this doesn’t seem overly dramatic, as people sign up for running events all the time. Most people don’t wait until five days before the event to solidify their participation though. Smart runners usually train as well. 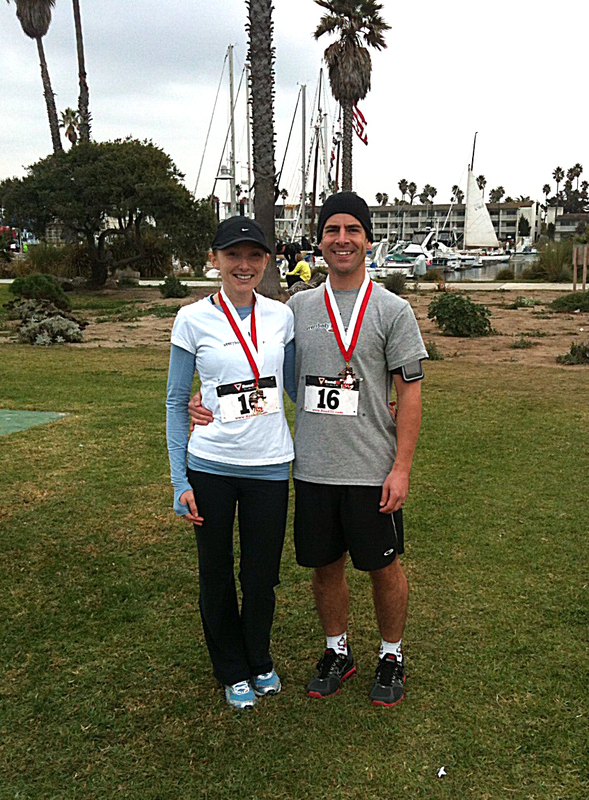 Thankfully, my wife is a smart runner who has entered half marathons before and follows a consistent training program. I, on the other hand, am more of a cyclist who has never run more than 5 miles. At the last minute, I lobbied for us to sign up. We had personal friends running in the event, our friends at FOOD Share had a small team involved and there was an allure that called out that we not miss this opportunity. We registered as Team Everybody’s Hungry and even pulled together some last minute race shirts with homemade EBH iron-ons. Jump to race day. The start was at 8am and it was joint-stiffening cold. 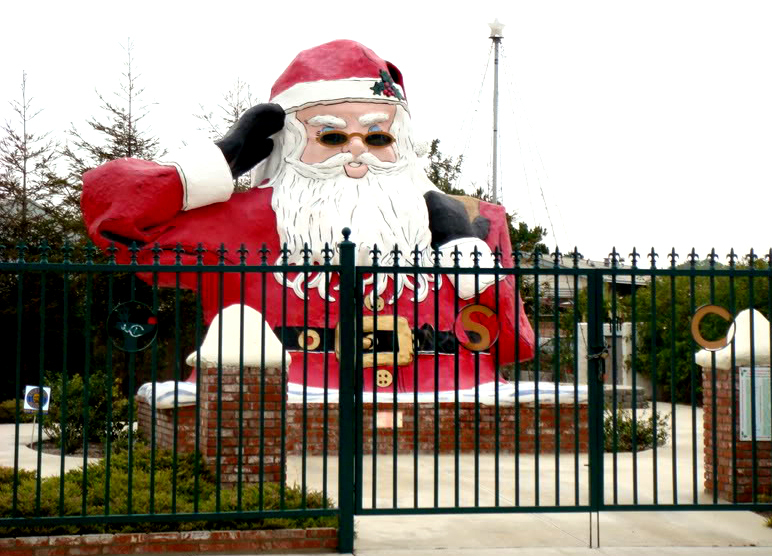 As the first leg of the team, I joined the masses at Santa, just off the 101 in Oxnard. It took me almost two miles before a warmth set in and I felt a groove. Miles 3-4 ½ was steady rhythm. Seeing all the people on the sidewalks offering support created a jolt in me. I picked up the pace a pinch at mile 5, charged the overpass at 6 and came around the corner with a fervor for the transmitter handoff at our midway point. My energy was racing and I probably could have run a couple more miles, but 6.59 miles at an 8:38 average seemed like an acceptable accomplishment for my first long distance run. As I mentioned though, our race was a 2-person relay; a team effort. Pressing on with the pace, Bree traversed the remainder of the course en route to the harbor. I met her at a straight away about a 1/2 mile from the finish, we surged on and crossed the finish together. It was an awesome feeling throughout the run that has ignited a desire to run my first complete 1/2 marathon. The Ventura Half is our target and we’ll be training as a team. Can you believe that craziness? Right up there with flying reindeer and a sleigh steered by a jolly, bearded man. But hey, it’s close to Christmas and I believe. Gallery | This entry was posted in EBH Racing, Life's Activity and tagged Christmas, Half Marathon, Running, Santa to the Sea. Bookmark the permalink. Well done! I was torn between running this race and the Holiday Half in Pomona (which I ended up running) — glad to see I would have been happy either way. Good luck as you ramp up to the Ventura Half! Thank you for the cheers. The Santa race is very flat and super fast. Maybe we’ll see you again some other year. Until then, I’ll follow your blog and cheer on your 50 halves in 50 states goal. Good luck to you.